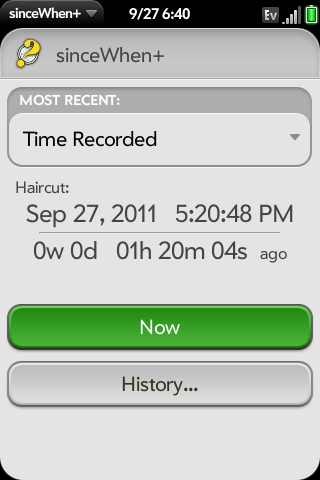 sinceWhen+ keeps track of specific times. 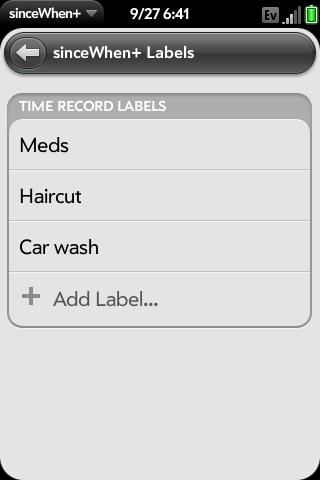 Use it to check when you last took your medication, track how long it's been since you washed your car, or any time/duration you wish to remember. 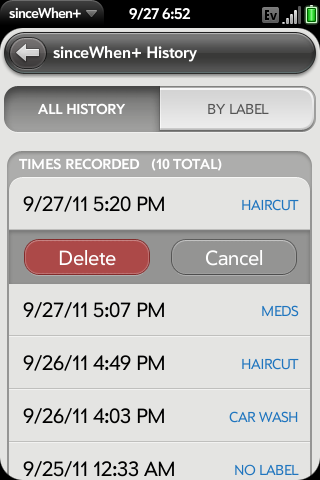 Custom labels may be applied to any logged time, and a full, editable history is kept. Records can also be added for times in the future, allowing sinceWhen+ to double as a collection of countdown apps.